Timeless is making a big move. Variety reports season two of the NBC TV show is moving production from Canada to California. The news comes about a month after the network decided to renew the time-travel drama only after announcing it was cancelled. The NBC series stars Abigail Spencer, Matt Lanter, Malcolm Barrett, and Goran Visnjic. This week, the California Film Commission announced Timeless has been awarded a tax credit to relocate production from Canada. This means season two will cost NBC and studio Sony Pictures Television considerably less than season one. Other series moving production from Canada to California include FX’s Legion, FOX’s Lucifer, and ABC’s Mistresses. What do you think? 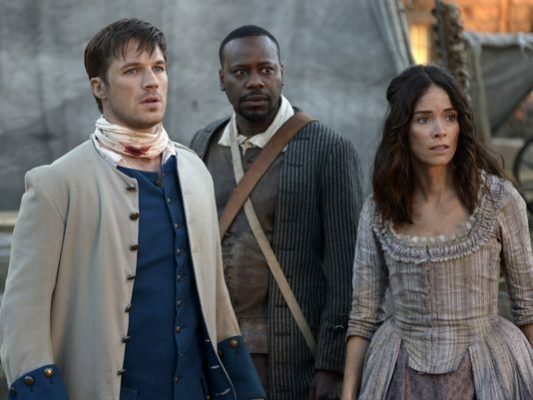 Have you seen season one of Timeless? Will you watch season two? Yes! Loved the show! So excited is been renewed! I can’t wait till season 2!